I live in close proximity of New York – 45 minutes by train – and I almost call it my “home town”. Each year, I get to visit the City, as it is typically called by locals (and to the best of my knowledge, “The City” primarily refers to Manhattan – New Yorkers, feel free to correct me) numerous number of times – business meetings, dinners, Broadway shows, wines tastings – you name it. But every one of those visits is purpose-driven – get in, do your thing, get out. Yes, I get to walk the streets, which I enjoy immensely and snap a few pictures, but still – the mind is set on “in and out”. “Can I sit on this bench for another ten minutes? No, because then you will miss the train. Get up and get going”. To tell you the truth, the idea of staying in New York for a night was on my mind for a long time. Last week was a school break, for which we had no opportunity to make any plans. I looked around for a short notice vacation – flying would cost a fortune and would be mentally exhaustive (don’t get me going on my travel luck lately). Driving long distance with a rainy forecast for most of the East Coast didn’t look attractive even for a bit. And then the thought came – what about New York? My wife and our youngest daughter quickly agreed (older kids had no vacation that week anyway); we got lucky finding the room at Marriott Marquis, right in the middle of the Times Square – and with my Marriott status we even scored an upgrade, so we were definitely all set for a short New York getaway. We decided to come over by train so we will not have to deal with the parking. After some deliberations, we decided to skip the most touristy things – city tour and the Broadway show, and just enjoy the City for what it is. Our mandatory program was short – Times Square, 9/11 Memorial, Jewish Heritage Musem and Central Park. Natural History Museum was also on the list, but with a bit of a lesser priority. With the hotel located right on the Times Square, the first requirement was easy – plus our upgraded room exceeded our expectations – we had the full view of the Times Square from the 45th floor, any second we wanted to see it – that alone made our vacation perfect. Despite the gloomy forecast, I have to say that the weather cooperated with us very well. The view of the World Trade Center building covered in the fog was rather unique, and overall gray weather was perfectly appropriate for the solemn mood of the 9/11 memorial and even Jewish Heritage Museum. And for the next day’s walk through Central Park we even had the sun coming out instead of the expected rain, so we really can’t complain about the weather at all. By the way – we made it to the Natural History Museum, but it seems that there were a lot (way too many) dinosaur fans in New York that day – the line to get into the museum to see T.Rex exhibition was stretching over the few of the neighboring streets, so we really decided to call it a day. The fact that we stayed overnight in New York really changed the impression and perception of this vacation. Instead of fighting the traffic and crowds to get back home after dinner, the leisurely walk back to the hotel created a feeling of a real vacation, when you immerse into the life around you and lose the feeling of time. There was no feeling of the day trip, no feeling of being close to home – it was a real vacation, just somewhere in the world, in a place where time doesn’t exist and you don’t need to care about anything. We all really loved the experience of being a tourist almost in your hometown and will be looking forward to doing this again – in New York and not. The only way I can share this experience with you is through the pictures. As I never know when to stop, here are some many pictures for you – definitely more than a few, but I’m only trying to share some of the moments of our [short] vacation. Hope you will enjoy them as much as I did while taking them. Cheers! Cooking is the ultimate expression of love. This is always true, but even more though on Valentine’s Day, as the whole holiday is all about love – the holiday which exists since about the 5th century – it is really fun to celebrate something so deeply rooted in history. Our personal love story was simple – yet, probably, equally uncommon – the love at first sight. It took three days since the moment we saw each other for the first time until everything was decided. So you can imagine that Valentine’s Day was always an important holiday for us. At first, we tried to follow to common path, working hard to score coveted restaurant reservation – until the dinner at one of the most expensive, and supposedly, best Italian restaurants in Connecticut, which we left asking each other “what was that???”. That was the end of our “eating out” Valentine’s Day celebrations, and the beginning of the “eat in” tradition. One of the advantages of “eat in” celebrations is a much better wine program. You don’t need to desperately comb through the pages of the wine list, finding that you can’t afford any of the wines by the bottle you want to drink, and common sense preventing you from getting any of the wines by the glass which can be classified as a “seemingly affordable rip off”. Instead, you can spend hours combing through your own wine shelves, looking for the bottles which you will deem worthy of a special celebration – and which will also work with the menu you have in mind. Martinelli Syrah which you see in the picture was a backup wine in case anything will be wrong with the Pinot. Now it is back in the cellar, waiting for its turn. Last year’s celebration was about steak and Cab – obviously, I couldn’t repeat myself, so the search was on to find an appropriate protein replacement. Somehow that resulted in the duck breast – and what wine does the duck breast call for? Of course, the Pinot Noir! Before we talk Pinot we need to talk bubbles. Bubbles don’t have to exclusively narrow down to Champagne. Champagne is a wonderful sparkling wine, perfectly appropriate for any celebration – but the world of wine moved up tremendously over the past 15-20 years. 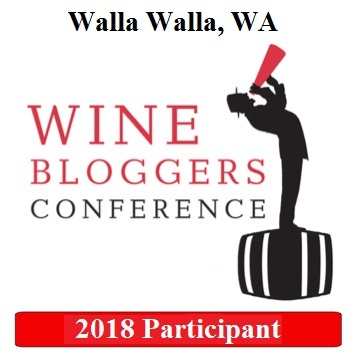 I don’t have any stats to prove this objectively, but I have a feeling in the USA at least a third of all wineries if not half of them produce sparkling wine – if not for the wide distribution, then at least for the wine clubs and tasting room visitors. I also have to say that ever since I visited the Franciacorta region in Lombardy, Italy, Franciacorta sparkling wines became my go-to choice of bubbles for any special celebrations. In my mind, Franciacorta wines are very consistent, and today, as they honed their production methods to perfection, this translates into the “you can’t go wrong with” Franciacorta wines in general. La Valle was one of my top highlights of that Franciacorta trip and the La Valle Rosé really hit the cord then – and it continues to do now. This 2011 La Valle Brut Rosé Franciacorta was superb – fine mousse, delicious strawberries on the nose with the hint of the toasted bread, and more strawberries on the palate – a perfect opener for our evening. Now, the Pinot time. Similar to the bubbles, Pinot Noir also enjoys quite a universal appeal around the world nowadays. There some regions, however, which do a better job than the others – and California Russain River Valley is definitely one of them. I tried 2007 Charles Mara Pinot Noir for the first time back in 2010. It was silky smooth and powerful at the same time. I was so impressed with this wine that it became the top wine of the inaugural Talk-a-Vino Top Dozen Wines list. I still had a bottle of 2007, and I decided that it would be a perfect choice for our Valentine’s Day dinner – and the wine didn’t disappoint. Now, 9 years later, this 2007 Mara Laughlin Road Ranch Pinot Noir Russian River Valley became even more round and less “in your face”. Characteristic California Pinot plums and smoke on the nose, succulent dark fruit on the palate with a hint of violets, perfect acidity, perfect balance, lots and lots of pleasure. And it also worked perfectly with the duck. Let’s talk about the duck. I had it a number of times before, either made by friends or at the restaurant – but duck is rarely my go-to dish. The form of duck I cooked before was either duck legs as part of the Cassoulet or the whole duck as part of the Turducken. I never attempted cooking the duck breast before, so obviously was concerned with the outcome. After studying a number of recipes, I was concerned even more, as a number of commentators complained about rendering duck inedible even after repeated attempts, so I was really not sure about my own success. I don’t know if it was a quality of the ingredient, Moulard Duck Magret, which I got at our local Fairway Market, or the cast iron pan, a combination of the above, or the beginner’s luck, but the duck breast came out perfectly. I also made a Port (you saw it in the picture above) and berries reduction, which elevated the nicely gamey taste of the duck breast and was a bridge to connect it all to Mara Pinot Noir – all in all, a delicious dinner. Nevermind the paper plate in the picture – everything in life has a story, but this is not the story for this blog post. There you go, my friends – not a timely share, but still an experience worth sharing. If you still remember, I’m curious to know how was your Valentine’s Day dinner. Cheers! OTBN 2019 – What a Night! Open That Bottle Night (OTBN for short) is my favorite “wine holiday”. Of course, the absolute majority of celebrations in our lives – holidays (Mother’s Day, Father’s Day, Thanksgiving…), birthdays, weddings, anniversaries, promotions – include wine, but strictly in the supporting role. All the “grape days” are about wine, yes – but typically restricted to a specific grape. OTBN is a special day when the wine is a front and center of our celebration – OTBN is all about showing respect to those special bottles which all need the special, perfectly appropriate moment to be opened. OTBN allows us to say “the perfect moment has arrived” and just open That Bottle. While I’m celebrating OTBN for a long time, this year’s event helped me to better appreciate the true purpose of this “holiday”. Okay, I have to say that I never had such a massive amount of wine opened for the OTBN – we went through 14 bottles – and each bottle was special in its own way. But until now, all of my OTBN experiences where strictly positive – the majority of the wines opened for OTBN were either at its peak or well drinkable at the moment but still promising to improve with time. But this year, in addition to absolutely stunning, mature, unparalleled wines we had wines which were either past prime or in the strange sleeping mode (yes, I’m an optimist), adding a good reason to follow the founding principals of the OTBN and pull the cork from That Bottle now. Here are my notes for the wines we opened this year, together with a bit of explanation as to what made this wine special and my impressions. Why: I was looking at this bottle for a long time. Ferrari makes some of the very best sparkling wines in Italy, and this is their flagship wine. At 18 years, it is a good age for the sparkling wine – and OTBN is a perfect reason to open a wine like that. How was it: Amazing. Light bubbles, but the balance is amazing, light toasted notes, wow. The wine stayed fresh throughout the whole evening and was one of everyone’s favorites. Why: Jim had multiple bottles of this wine and was worrying about Premox (Premature oxidation). Thus he put it out just to try. How was it: Superb. delicious, classic burgundy, beautiful, elegant, round. Another one of the top choices for everyone. How was it: Underwhelming. A touch of petrol, clean, good acidity, bud no bright fruit. Still delicious in its own way – I would gladly drink it any time. But – lucking the “umpf” which was expected… Still have 2 more bottles – will open later on and see. Why: Well, OTBN is an all-inclusive celebration. I rarely drink Savenniers, so it is always fun to experience something new. How was it: Ok. For the 5 years old Chenin Blanc from the Loire, it was quite decent. Nice white wine – can’t say much more than that. How was it: A flop. Unless there was a flaw with this particular bottle, this wine was past prime and had no joy in it. Why: Furmit is the grape used in the production of the Hungarian Tokaji wines, some of the very best dessert wines in the world, easily rivaling the best Sauternes. Problem is – it is very difficult to prevent Furmit vineyards from the Noble Rot settling on the grapes – and thus it is rare – and difficult – to produce dry Furmint wine. Here comes The Oddity – dry Furmint wine. How was it: Very good. Nice, clean, great minerality, balanced well-integrated palate, good acidity. Thank you, Lori, for this delicious find. Why: Kistler is one of the best Chardonnay producers in California, so this alone is enough to include such wine into the OTBN line up. But then California Chardonnay rarely built to last for so long, so it was definitely the time to open this bottle. How was it: Amazing. An oxidative nose which was also incredibly attractive, mature fruit, good acidity, elegant, present, delicious wine. No filter – just look at the color of this wine! Amazing. Why: 1971. Need we say more? Yes, the wine of such age is absolutely meant for OTBN. How was it: Wow. Young, beautifully balanced, beautiful Bordeaux, just perfect. In a blind tasting, I would never identify this as a 33 years old wine. Yes, you can call me a failure. Why: My exact question – why? Only because we could? How was it: not ready. Needs time, mostly locked up. You would never think that 23 years old Bordeaux is not ready to drink, but it was not. 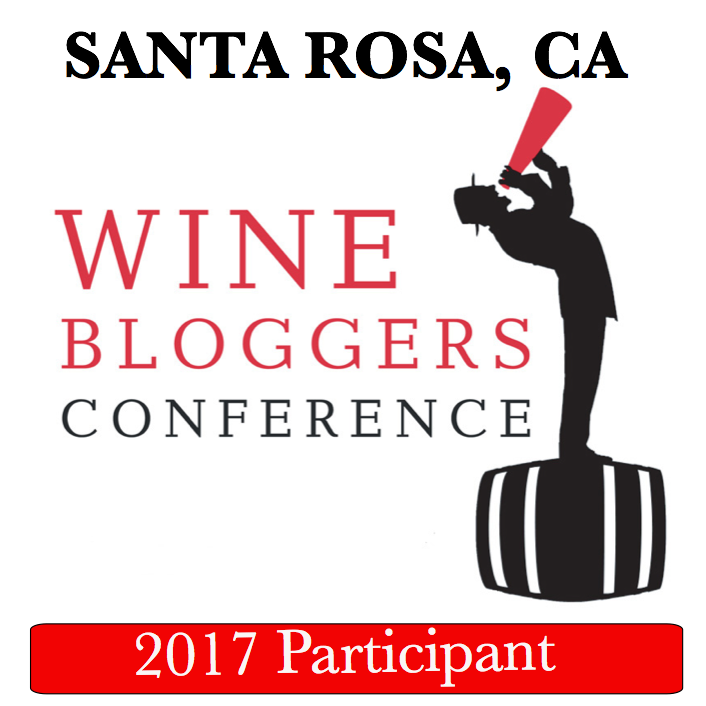 Why: Same as previous wine – really, why? How was it: Not ready. Closed nose, mostly cherries on the palate, need another 10-15 years. Why: One of my most favorite Georgian wines. Limited production, a beautiful example of Georgian Saperavi. Most of the wine lovers are still unfamiliar with Georgian wines, so I really wanted to introduce this wine to the people. Why: For one, it is very appropriate to finish a great wine program with the dessert wine. And then how many of you even heard of Scheurebe? Scheurebe grape is a cross between Sylvaner and Riesling. It is quite rare, so yeah, a perfect choice for OTBN. How was it: Spectacular. Not only it had great acidity which is essential in enjoyable TBA-level sweet wine, but it also showed a mix of honey and herbs – rosemary, sage, thyme – just an unbelievable concoction and ultimate pleasure in every sip. Thank you, Stef, for this treat. Obviously, I can’t complain about such an amazing OTBN – however, as you saw, we had our share of disappointment. At the same time, the good greatly overweight the bad – 1971 Nebbiolo, 2001 Giulio Ferrari, 1995 Kistler, 2008 Vin Jaune, 1986 Bordeaux were all personal favorites and I would be glad to experience those wines again at any time. Now that I told you about our OTBN, how was yours? Wine lovers – this is your public service announcement, so listen carefully. Open That Bottle Night is Saturday, February 23, 2019. I repeat – OTBN is taking place this coming Saturday! Are you ready? Okay, so all of you who are familiar with the OTBN, please say “thank you for the reminder” and quietly retreat to your cellars in attempt to solve the unsolvable. For those who don’t recognize the OTBN term, let me explain. Open That Bottle Night (OTBN for short) movement was originated by Dorothy J. Gaiter and John Brecher, writers of the Wall Street Journal’s Tastings column. Back in 2000, they decided to help people to put their best wine bottles to the best possible use (e.g., drinking and enjoying them) by designating last Saturday in February as special “pull that cork” day. the wine might not be around for us to enjoy it – ever heard of “past prime”? Nobody knows what is the “right time” for the wine. We have our expectations, of course, but it is in human nature to doubt oneself, and thus we keep arguing with ourselves about the “right moment”. The “right moment” is also something entirely individual – the right age of the wine, a long-fought-for job promotion, wedding anniversary, significant birthday, or simply the right company. And so we are waiting and waiting and waiting – and risking one of the two outcomes I mentioned before. This is where OTBN comes to the rescue. OTBN makes an opening of that prized bottle a good enough reason in itself – it is really a celebration of life as it happens. Ever since its creation, OTBN was getting an increased following from all over the world, with people from China, Hong Kong, Australia, Japan, Europe and, of course, the USA, gladly reporting about the opening of those long-cherished bottles – and their personal life stories. It is the right time, wine lovers, to get that bottle ready. If you need any additional instructions, the Wall Street Journal took care of it by publishing the guide to the OTBN, so now you are guaranteed not to make any mistakes. Go, start thinking about that special bottle you are going to enjoy this Saturday – to celebrate life. And don’t forget to share your special moment with all of us. Will be waiting. Daily Glass: The More I Drink, The Less I Understand? The wine had been a serious object of obsession for more than 20 years for me. I went through multiple education programs. Read an uncounted number of wine books and articles. Most importantly, drunk a lot of wine – from the bottles, from the barrels, the juice of freshly harvested grapes and the juice which only had been fermented for a few days. Two days old wine and 80 years old wine. I taste roughly thousands of wines every year (with the help of trade tastings). Yes, the wine is an object of obsession. And yet, I would never say that I figured it out, that I fully understand it. The curse of wine is rather simple – until the cork is pulled (or unscrewed), you don’t know what to expect. A lot of wine bottles look ultimately attractive outside – bottle’s shape and weight play an important role, and then you got the label which, when properly done, is an ultimate seduction device. But once the cork is out, it is only the content that matters – and here we learn that not all the beauty from outside can be found on the inside. The worst part? Until the first sip, we have no way of knowing what we will find, even if we tasted and loved the wine before! Sadly, this is a classic case of any investment prospectus disclaimer – “past performance is no guarantee of the future results”. It is quite possible that you tasted and loved the wine before – nevertheless, every new bottle is a perfect screw up (or a beautiful surprise) opportunity. The wine is an enigma. Back in 2014, I tasted 2011 Michel Chapoutier Tournon Mathilda Shiraz Victoria, Australia (13% ABV, $14.99) and was blown away by the beautiful purity of that Shiraz. The wine had a clean, herbs-driven profile full of freshly ground pepper – you really had to taste it to believe it. I was so impressed with that wine that it became wine #4 on my Top Dozen list in 2014. I got 6 bottles or so (at $14.99, a great QPR) and was slowly enjoying it over the years. But not always. I remember trying to impress a friend with this wine when I found it available in a restaurant in Florida by the glass. That simply did not work – the wine was flabby and mostly insipid. Then I had opened a bottle last year, only to be able to say “what just happened???”. The wine had just some single note fruit, no pepper, limited acidity, and in a word, was not fun. I was further put down with this wine last year after tasting the current vintage release at the trade tasting – that wine was insipid, cherry cough medicine style. When I pulled my last bottle from the shelf a few days ago, the thought was – yeah, whatever, let’s just free up some space. Unscrew, pour, sip – oh, my, everything was back as when I fell in love with this wine – fresh pepper, sage, rosemary, intensely herbal with tasteful addition of ripe black plum – as wow wine as it can be. Don’t ask me for explanations or theories – as I said, the more I drink, the less I understand. The second story is less unusual, but still in line with what we are talking about here. I got the 2009 Tallulah MD1 Cabernet Sauvignon Napa Valley (14.1% ABV, $75) after reading the skillfully crafted sales pitch by the folks at Benchmark Wine Company. What’s not to like there? Excellent winemaker, Mike Drash; beautiful label, great story of naming the wine after winemaker’s daughter, and maybe most importantly, the cult grape from the cult region – Cabernet Sauvignon from Napa Valley. The first experience with the wine was at the “ohh” level – tight, closed, by all means not ready. The next time I had the same wine was back in 2014, it fared better – I gave it 8- rating, but mostly for the potential, not so much for the actual pleasure delivered by the wine back then. Looking for the wine to drink last Saturday with the steak (looking for the wine is a physical process of moving the shelves of the wine fridges in and out – I don’t have any record-keeping in place), I saw the bottle top with the characteristic “T” on it. Similar to the wine we discussed before, the thought was “well, why not – I need to free some space anyway”. The first sip solicited an instant “oh, wow” – a Cabernet perfection in the glass, vibrant cassis, eucalyptus, touch of cherries, sweet oak, perfect mid-palate weight, clean acidity, impeccable balance – the wine Napa Valley is so famous for was right there – in my glass. But that what makes it an ultimate fun.